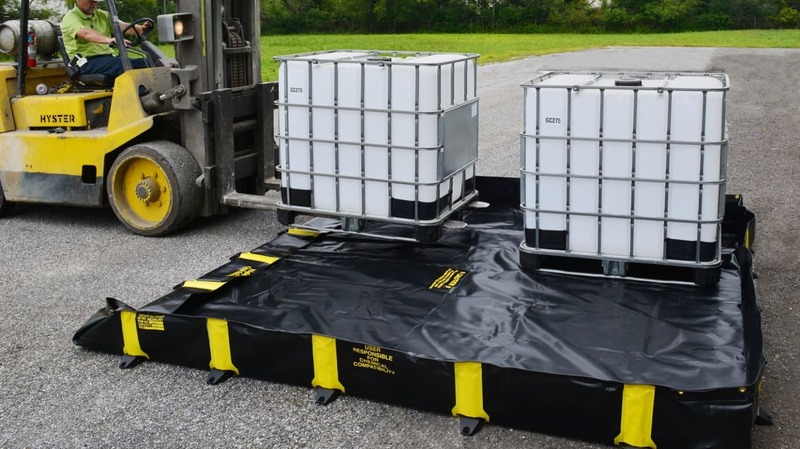 To proactively contain spills from drums and IBCs, Brady Corporation offers the reusable, lightweight yet heavy-duty Rigid Lock Quickberm that is very practical to use and set up. Its sides can be collapsed to allow forklift traffic and can easily be redeployed for spill containment. With the Rigid Lock Quickberm, companies can increase compliance with the European Union Water Framework Directive (2000/60/EC). This directive has been included in national standards and regulations in order to prevent water contamination. The solution also supports ISO 14001, appendix 1, A.4.7 about emergency preparedness and response. This standard requires companies to have an emergency plan to control and absorb discharged liquids. Slips and falls are some of the most frequently occuring workplace accidents. 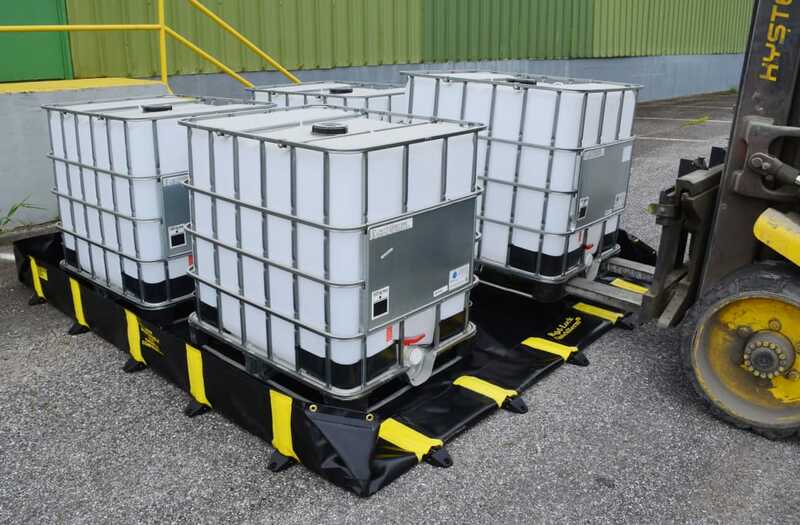 By proactively containing potential spills from drums and IBCs, a number of slips and falls can already be prevented. To prevent employees from tripping over the spill control solution, the Rigid Lock Quickberm has a very visible black and yellow design. Made out of EG-5 PVC coated fabric, the Rigid Lock Quickberm offers extremely high tear, abrasion and puncture resistance and can withstand harsh liquids, including oil, petroleum and most acids. Its reinforced corner design offers further protection and leak prevention. Its heavy-duty aluminium straps can resist the weight of a forklift and are easy to click into a 180° position to allow forklift traffic, or a 90° position to contain spills. More product information is available on the Brady website.